Specialised health care is often expensive and more than half of the population lives on $2 a day. Furthermore pregnancy has many more risks in Haiti. While in Belgium, where I'm from, maybe one woman a year dies because of pregnancy, this number is as high as 350 per 100,000 in Haiti. That’s why MSF has been doing maternal-child health continuously since 2006 and opened an emergency obstetric reference centre here in 2011. The continued political unrest (the presidential elections keep on being postponed) and ongoing strike in the public hospitals made our presence even more needed. 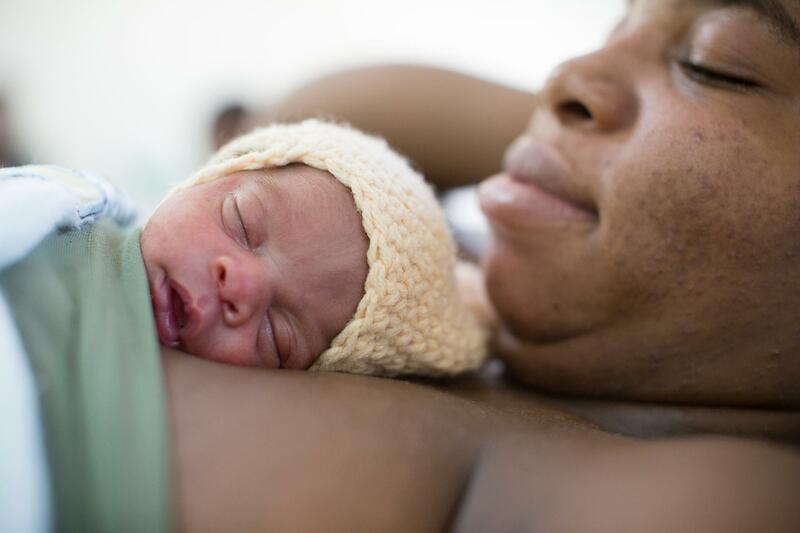 Six thousand women give birth in our hospital every year, and women are referred to us with pregnancy-related complications from all over the country. A lot of deliveries means a lot of babies. And a lot of complicated deliveries means a lot of pre-term, small and sick babies. A lot of deliveries means a lot of babies. And a lot of complicated deliveries means a lot of pre-term, small and sick babies. Taking care of those newborns is what we are doing in the neonatal ward that I am leading. Fifty percent of the children born in our hospital have a low birth weight and 30 percent weigh less than 1.5kg (less than 3.5 lb). We have to admit around 250 babies to our ward every month. That number can be a lot higher during the ‘birth peak’. This peak traditionally (and not coincidentally) takes place about nine months after carnival. It will probably start in August this year, since a lot of children are born prematurely.